Midlife—the time you spend between the ages of thirty-five and fifty-five—is a critical juncture in anyone’s career and life. And yet these tend to be neglected decades. Do you feel vulnerable about who you are and what you want to do? Do you feel boxed in by societal pressures and an overly outward focus? The time to invoke change is now. But how? Enter Amplify Your Career and Life: 4 Steps to Evaluate, Assess and Move Forward, an insightful look at successfully traversing these midlife years. Author and executive coach Peter Diamond struggled through his own midlife quandary. When faced with a series of life-altering events, he realized the need to reclaim his life and take action in order to move forward in a more holistic and gratifying manner. Peter presents the four principles of action developed through his own experience and his time spent coaching hundreds of clients: interrogating your life, formulating your plan to amplify your life, conquering old foes, and adopting the changes you desire. Using personal stories and practical advice, Peter shows you how to design an action plan to triumphantly navigate the challenges of midlife in order to thrive in the future. Amplify Your Career and Life is an essential guide for self-improvement and personal growth. 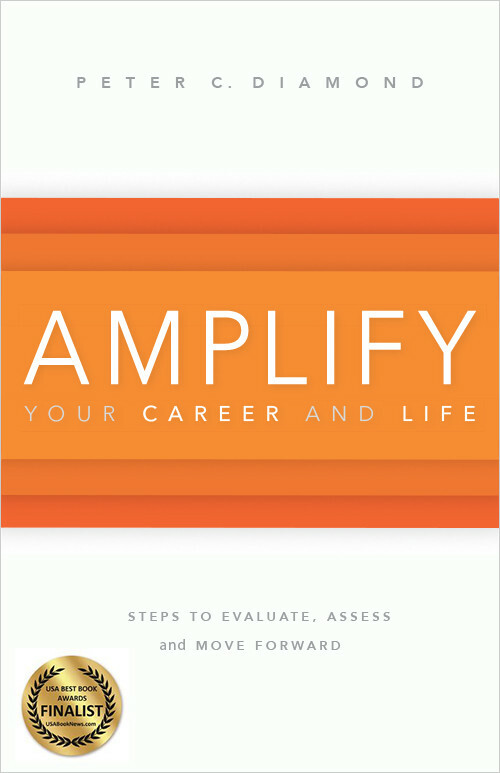 “Amplify will help you see warning signs of distress in your career and your life. It's an insightful approach to taking control and successfully traversing through midlife career challenges so you evolve and grow, doing what you love." "With authentic narrative, practical models and personal experience, Peter provides a compass for navigating the choppy waters of modern career and life issues." "Drawing from his experience as a successful executive coach, Diamond brings a fresh perspective on the importance of having a vision, values and purpose."